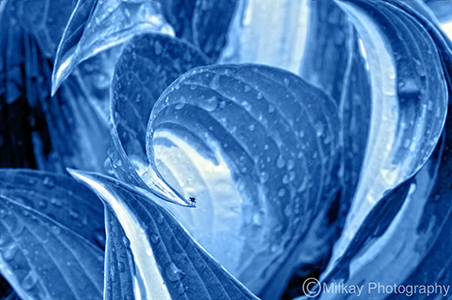 While photographing rain-soaked hosta leaves, I was already drawn to their wave-like form. 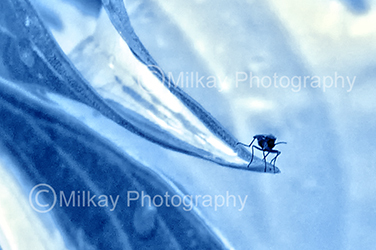 So, when a small black gnat decided to do some surfing, well, it’s times like this you simply cannot believe what you are seeing through the lens! Since the foliage colors of this particular hosta are a variegation of green, white and yellow – not the hues that evoke a strong feeling of the sea – I decided a color change was necessary to successfully convey the ‘surfing gnat’ idea. So, the image was first converted to black & white and then tinted using blue. I also bumped up tonal contrast a bit using Color Efex Pro. 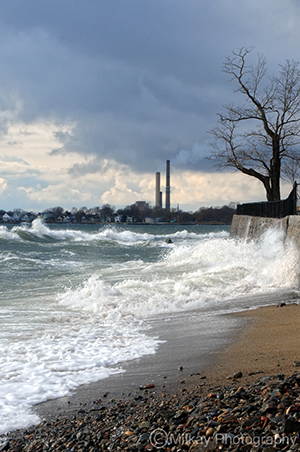 The Nor’easter may be gone, but we are still feeling the effects! 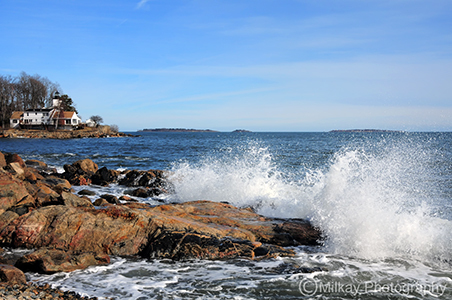 Our churned up seas continue to pound the rocky shoreline of Beverly Harbor, with Hospital Point Lighthouse standing proudly by, as it has since 1872. 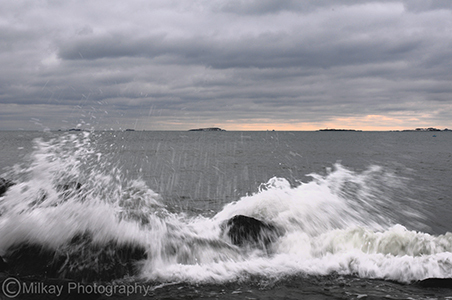 Just before it began to snow (again) yesterday, I went over to Lynch Park to check out the surf.